This 4-day course provides administrators with the knowledge and skills needed to deploy and manage Windows 10 desktops, devices, and applications in an enterprise environment. Students learn how to plan and implement Windows 10 deployments in large organizations. 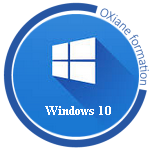 Students also learn how to manage the Windows 10 installations after deployment to provide secure identity and data access using technologies related to Group Policy, Remote Access, and Device Registration. To support a variety of device and data management solutions, Microsoft Azure Active Directory, Microsoft Intune, and Microsoft Azure Rights Management are introduced. These services are part of the Enterprise Mobility Suite which provide identity and access management, cloud-based device, application, and update management, and secure data access to information stored both in the cloud and on any location within your corporate network. Maintain a Windows 10 installation.  Manage volume license activation for Windows 10. This module explains user states and user state virtualization and explains how to deploy and maintain user experience virtualization (UE-V). This module also explains how to use tools such as ScanState and LoadState to migrate user states. This module explains the concept of identity and the methods to enhance identity security. This module also explains cloud identities and the use of Azure Active Directory Premium in enterprise organizations. Describe the solutions for accessing data. Describe the types of remote access solutions. Configuring VPN access to remote networks. Use DirectAccess with Windows 10. Describe the use and components of the Enterprise Mobility Suite. Manage directory services by using Azure Active Directory Premium. Protect devices by using Azure Rights Management. Deploying the Intune client software. Manage mobile devices using Intune. This module explains how to use the Microsoft Intune Software Publisher and deploy applications to managed clients. This module also explains the use of certificate profiles, Wi-Fi profiles, and VPN profiles to control access to company resources. Describe application management by using Intune. Describe the application deployment process.